Ready to Establish a Working Relationship with Chesapeake Bible College & Seminary, International? 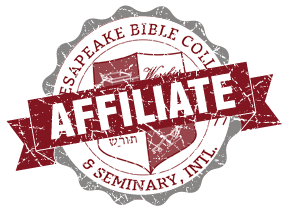 Chesapeake Bible College and Seminary (“CBCS”) is a Christian educational institution that works with local churches to provide classes in Bible subjects, Christian living, and ministry. Over the years, Chesapeake has developed a curriculum that is economical and user-friendly, contains doctrinally sound Christian educational courses, and is adjustable for churches of various sizes. The following form allows us to learn more about you and your needs for affiliation. Please fill it out and submit to us. We’re happy to answer all of your questions and this form gives us a better understanding of your needs. We hope to welcome you into the family of excellent Distance Learning Centers associated with the Chesapeake Bible College & Seminary. For more information, You can read about our Distance Learning Center requirements by clicking here, you can also reach us at 410-634-9005 (ask for the Distance Learning Center Department), and/or by email at Distance.Learning@ChesapeakeBibleCollege.org.